Pimples are a type of skin condition that is notorious for annoying and disturbing social life of many people. It is actually an inflammation occurring on your skin in which the oil glands in the skin get infected with bacteria, creating a swelling and filling it with a pus. They are also called as Zits, acne, shots and bumps and are known to occur in most unpropitious time. The reason behind this problem is the excess secretion of sebum. They can appear anywhere on the skin, but they are most problematic when occurring on the face and neck. If occurring on your face can make you look miserable at times as it as has the ability to distort your face look. In the market, there are many creams and lotions that are recommended by various doctors. But they tend to take time and in many cases, they have the potential to create different side effects. There are many natural items, that can act on these pimples and make them go away in a matter of just hours. These methods involve very simple items that most of the time is available in your kitchen. Ice has the ability to make the pimples disappear. It is the most common thing that will be present in almost every person’s home. It is used by millions of people to minimize the swelling, redness and infection of pimples. It makes this possible by refining the circulation of the blood in the affected area. It tightens the skin pores and helps in eliminating the dirt and oil that is present there. You either can use ice in the form of cubes or crushed powder. First of all you have to take the ice, wrap it in a clean cloth. Place it on the affected area of your skin for about 20-30 seconds. Repeat this procedure for three to four times and you will see excellent results in no time. There is another method that can equally provide you with effective results in a very short period of time. This method involves juice of a fresh lemon. Lemon as we know is enriched with Vitamin C and antioxidants. These characteristics make sure that the pimples get dried much faster and effectively. Make sure that you should not be using bottled juice, it is because it will be not efficient in removing pimples because of the preservatives that it has present in them. Take a cotton swab, make sure it is free of dirt. Then apply it on the pimples present on your face. Repeat this procedure daily before going to bed and you will see exceptional results even after the first application. There is another way with which you can use this method. Take one tablespoon of lemon juice and mix with it one teaspoon of cinnamon powder. And before going to the bed apply this paste on your pimples. And in the morning wash your skin with water that is lukewarm and you will observe the pimples going away. But the people who have a sensitive skin should stick with the first method. BeautySecrets is an online medium, where you can find such effective remedies. That does not involve expensive items do not take much of your time and more importantly has no side effects. This website also offers various e books that have in detailed description of these procedures. These books are very comprehensive, touching every beauty aspect and available in very optimize price that can easily be afforded. You can’t have the same face at the age of 20 when you are 40 or more years old. It is because there are dramatic changes that you will observe on your face after you cross the 30 year mark. You will be seeing wrinkles, fine lines and dark circles. So then people turn out to many anti ageing creams available in the market. These creams may achieve your desired results but also could haves some negative consequences with the passage of time. A common anti age cream will be consisting of antioxidants, Vitamin E and Vitamin C. It is recommended that one must use a natural anti ageing cream that is completely made of natural ingredients. The most effective and efficient anti ageing remedies mostly are made of nature’s most wholesome and modest ingredients. These great and exceptional creams can easily be created at home using some very basic and accessible ingredients. These home made products if are shaped using the right technique can remove fine lines present on your skin. Giving your skin an appropriate moisturizer thus giving you a much more refreshed and younger look. These creams can be made in a very short period of time requiring not much money and manpower. Many people have used this technique and have all praise for these products. The ingredients that are used in this home made cream have a thorough effect on the skin. But when are used collectively they can give far more exceptional results. These creams not only have great complexion benefits but also have amazing scent and texture that soothes the eyes. The major ingredients that are used in order to make his miraculous cream are almond oil and virgin coconut oil. Almond oil has the ability to make your skin softer and less abrasive. If used in the right amount it can revitalizes sin and enhances your skin tone and complexion. Coconut oil is more of a scavenger of the free radicals that are notorious of damaging your skin. It is enriched in healing compounds that our body needs in forming cells and vessels in the wounded area. Take one fourth cup of almond oil, 2 tablespoons of coconut oil, 2 tablespoons of beeswax, half teaspoon of vitamin e oil and 1 tablespoon of shea butter. Now put all these materials into a jar. Add small amount of water. Now put them in a pot and allow them to melt. And in between this time keep on stirring the material. Now pour this material into a glass jar and then at a room temperature let the material to set down and allow it to harden. You have to apply this mixture on your face for about two times in the day. Once in the morning and once in evening. And for about 10 minutes on the face wash it off. These and many more very basic and remarkable techniques of many anti ageing creams procedures are available in the e book generated by www.beauty-secrets.us in this there are many tips and tricks you need to know for a glowing and young skin. and worth. 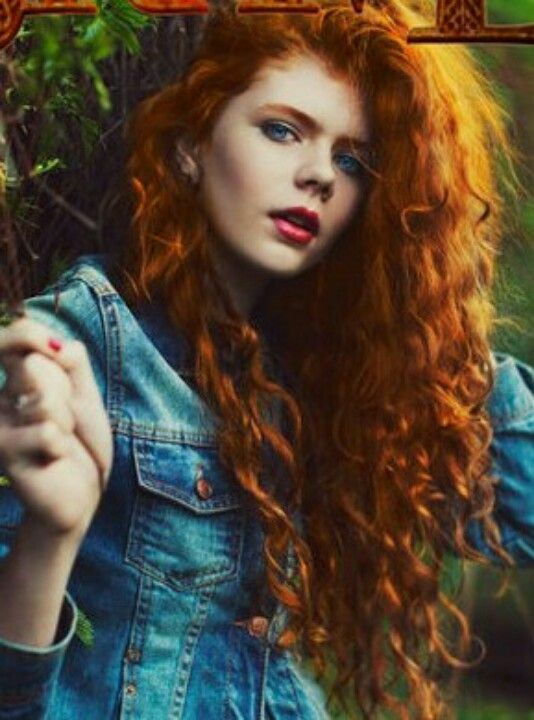 I am also from one of the lover of curly hairs ‘ s beauty. You know why men love women? understand why I stop you to wash your curly hairs on daily bases. If you took that up , so I will go on. deserve love. Stay bless, stay smiling friends. I will come next day with new tip for your beautiful hairs. having straight hair sit there for hours trying to forge with curling irons but that comes naturally to you. know the beauty secrets that every curly haired girl should go after. 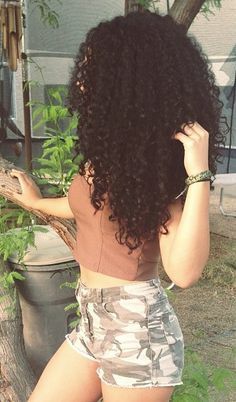 possible curly hair and say “goodbye” to heat damage. The fact is that any form of skin condition will happen in spite of the pigment of skin you have got. once it involves African yank skin care et al. with darker complexions but, there square measure a number of skin care issues that square measure way more prevailing. Acne may be a chronic disorder characterised by excess production of oil from oleaginous glands inflicting the hair follicles typically on the face, chest and back to become obstructed. Pimples, papules, pustules and comedone, (black heads and white heads) cysts and infected abscesses will be treated in skin condition. skin condition affects most teenagers to some extent. However, the sickness isn’t restricted to any age group; adults in their 20s – even into their 40s – will get skin condition. with reference to African yank skin care, skin condition might lead to long lasting discolorations of the skin. medical care is that the same for all skin sorts however it’s important to use topical agents that minimize irritation of the skin. Another African yank skin care issue is ingrowing Hairs. African Americans have semicircular hair shafts and this is often true of beard hair additionally as alternative hair. typically once a really accomplishment, the pointed hair might curl back to the skin and it’s going to pierce the wall of the follicle, inflicting a reaction leading to bumps known as “pseudofolliculitis barbae.” If you’ll be able to, growing a beard may be a viable possibility for serving to this. African yank men ought to strive totally different strategies of hair removal if they suffer with ingrowing hairs, that also are known as razor bumps. Shaving with a special form of razor that doesn’t allow a really accomplishment might facilitate. don’t stretch the skin throughout shaving and do not shave on a routine. If hairs become ingrowing, carry them up with associate degree alcohol-cleaned needle (don’t pull off or pluck) simply before shaving. generally employing a rough face cloth before shaving will facilitate to loosen hairs near to grow inward. Hair removal chemicals do take away hair however ought to solely be used once every week. they need to be wiped off promptly consistent with package directions and wash your face doubly with soap and water like a shot subsequently to protect against irritation. Permanent removal of hair performed by associate degree veteran Electrolysis Operator could also be an efficient resolution and there square measure new medicated creams that will slow hair growth and facilitate. make sure to consult your specialist regarding treatment choices. African yank skin has larger melanosomes (cells that verify skin colour ) and therefore the melanosomes contain additional of the pigment animal pigment than those found in white skin. owing to the protecting result of animal pigment, African-Americans square measure higher protected against carcinoma and premature wrinkling from sun exposure. Post inflammatory hyper pigmentation is sort of common in dark injured people, even once minor trauma. a region of the skin might darken once associate degree injury like a cut or a scrape, or once sure skin disorders like skin condition. To avoid or scale back post inflammatory hyper pigmentation, avoid selecting, harsh scrub, and abrasive treatments. Darkened areas of skin might take several months or years to fade, though topical (surface) bleaching agents might facilitate. conjointly chemical peels (using alpha and beta chemical group acids) and microdermabrasion will be useful. Moisturizers are actually mixture of chemicals specifically designed to make softer and pliable to the external skin. These increase hydration of skin by reducing evaporation in the air. These may include lubricants to target specific type of skin. Moisturizers are used to protect dry skin, improve skin sensitive skin and reduce imperfections in the skin. ends of hair. Amodimethicone and cyclocone are the kinds of ‘cones’ which are most difficult to remove from hair, these cones should be completely clarified fro your hair. t harm hair and help them to grow. Humectants, Emollients and Conditioning Agents These alcohols contain Myristyl alcohols, stearyl alcohols, cetyle alcohols and ceteary alcohols. Humectants are actually substances which draw moisture from the surrounding air to hair. These contain polyquarternium, glyceryl stearate, centrimonium chloride, glycerin, sodium PCA, hydantoin, propylene glycol, sodium lactate and natural waxes and oils. It is often said that a woman’s hair is her crowning glory and this is very true in a sense, since a woman can become even more beautiful because of her hair or she can look unattractive because of it. That’s why an important beauty secret to remember is that you should keep your hair at a length and style that suits you and of course to keep your hair clean and manageable. One way to keep your hair clean and manageable is by using a conditioner after you shampoo. There are a number of beauty secrets and benefits you can enjoy when you use conditioner after you shampoo. Conditioners add moisture and condition to your hair, so that it will look and become healthy. Another benefit of using a conditioner is that your hair will be easier to comb and manage and, then it will also become easier to style as well. When you use a conditioner you will immediately notice that your hair will become instantly softer, smoother and this level of softness and smoothness cannot be easily achieved with just using a normal ordinary shampoo, but when you use a shampoo with a conditioner then your hair will become softer and fuller. You might not be aware of it but shampoo actually washes away natural oils and nutrients from your hair. when you use a conditioner these natural oils and nutrients are replaced. Since these are replaced you will definitely have healthier hair after using a conditioner. When you use conditioner after every time you shampoo you should remember and make sure that you wash it thoroughly out of your hair because, if you do not thoroughly wash your hair and the conditioner remains in your hair, this will look very untidy and greasy. Aside from looking greasy and untidy, having conditioner left in your hair can also become very itchy and inconvenient. You should also keep in mind that your hair undergoes different processes such as ironing, curling and blow drying these processes can actually be very damaging to your hair. That is why when you use a conditioner your hair is strengthened and conditioned for it to be able to undergo these processes. That’s why, if you already know that you will be fixing your hair and if you already know that your hair will undergo any of the above mentioned processes you should make sure that condition of your hair after you wash them with shampoo. Another popular saying when it comes to your hair is having a ‘bad hair day’ and there is also some truth with this saying since you will definitely have a bad day when your hair is dirty and unmanageable. That’s why an important beauty secret to remember is to make sure that you have well conditioned and manageable hair so that you will be able to enjoy your day and one way for you to ensure that you have a good day and a good hair day is to make sure that you use conditioner on your hair after every shampoo. Every girl wants to get their hands on beauty secrets especially if it can make them look extra prettier. You would be surprised what a little beauty secret can do to your over-all appearance. Being a teenager is a very exciting time in your life and it is just normal that you would want to look pretty and beautiful and here are some beauty tips to help you do just. Teenagers can get pretty excited when it comes to applying make-up on their faces but remember one beauty tips too much make up is never beautiful so here are some more beauty clues when it comes to applying make-up. If you are a teenager you will normally have problems with acne and pimples so you should try to avoid using foundation. You should remember that foundation is only used by older women. Also remember that when you use foundation on your face you would most likely be putting foundation on your pimples and this could cause more problems. It would be better if you cover pimples and blemishes with concealer then follow up with powder or tinted moisturizers. This beauty clue is definitely a better alternative than using foundation it is also more age appropriate. When planning out your make-up, yes you have to plan it. You have to decide on what you want to feature will it be your eyes or your lips? You can never choose both since this would have a heavier effect and it will definitely not suit you. This is one beauty point that should be followed by any age group. If you decide to play on your eyes and use darker colors for your eye shadow then you should choose a lighter shade for your lips. If you decide to feature your lips and use a darker shade then you should only use a lighter shade for your eyes. Chapped lips can be a nightmare so make sure that you always have Vaseline with you or a lip gloss that you trust. Remember applying lipstick on chapped lips only makes things worse. If you have problems with acne make sure that you go and see a dermatologist. What use will your new jeans or boots be when your face is plagued with pimples and blemishes? Having a clear skin is definitely an important beauty point. If you are buying foundation or lipstick you should make sure that you test it out first. One beauty hint you should remember is to make sure that you only purchase foundation and lipstick that will match your skin tone and one way to make sure that you do is to test them first before buying them. One beauty hint you should learn at a young age is to make sure that you take care of your nails. There are many things that can be said about a person just by looking at their fingernails and toe nails. Not only is keeping your toenails and finger nails clean a beauty necessity but it also shows your hygiene. If you like painting your finger nails then make sure to change them once the polish starts to chip. If you are not a fan of painting your nails then you can just keep them at an appropriate length and make sure to clean and cut them regularly.